U.S. based marine electronics manufacturer FarSounder said it has received an order for four FarSounder-1000 Forward Looking Sonars from ship navigation systems supplier Wärtsilä Valmarine to be installed into new expedition cruise ships over the next several years. "FarSounder's ongoing receipt of multi-system orders from Wärtsilä Valmarine is a testament to the team's focus on advanced technological systems and integrations," reflected FarSounder's CEO, Cheryl M. Zimmerman. "This has been integral in building a strong and synergistic working relationship with Wärtsilä Valmarine." 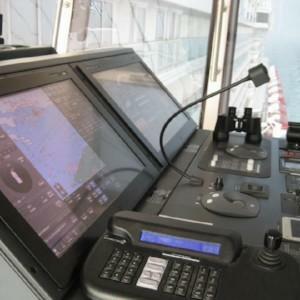 A heightened demand for safety in cruising through unknown waters has resulted in this order and many others for this state-of-the-art equipment. "Having trained personnel who understand and are able to service this latest technology is a great asset to our company," said Helge Kvandal, Regional Sales Manager at Wärtsilä Valmarine. These polar-class cruise ships will have access to real-time 3D data that updates at every ping on their bridge. Along with this data advantage, this sonar system has no moving parts and retrieves images from over 1,000m away. This will broaden the vessel's exploration capabilities by allowing for safe navigation in waters otherwise thought of as impassable.